Home › 2014 › More Changes Ahead! Since last year represented major changes for me, I decided that it was also time to make some changes to my blog! When I started blogging I was writing stories primarily about my family’s history. I wrote occasionally about special needs. I also started a separate blog about crocheting. 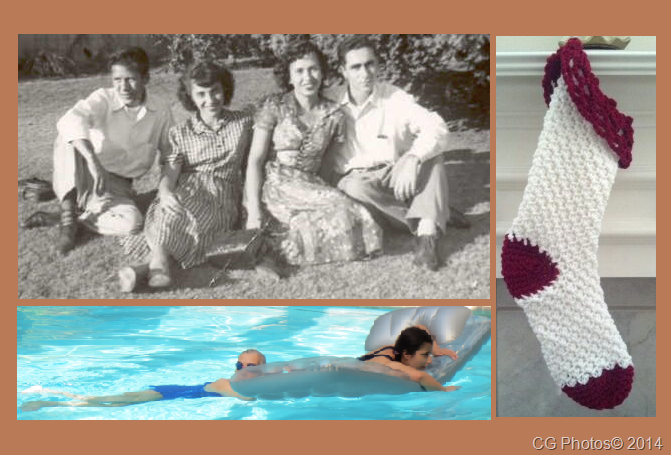 Some of Cathy’s blog topics are shown in a quick glance: family history, crocheting, and, special needs. Last year I began to expand my writing about special needs. I also began to chronicle my journey to improved health. That journey (well worth every step!) resulted in fewer stories about my family. 2013 brought a shift in Cathy’s writing as she made dedicated changes resulting in much improved health! In 2013 I also participated in Bloggers for Peace! There are monthly, thought-provoking challenges in which you may participate. It’s a worthy topic – so if you’re not familiar with this movement, please take a look! Consider joining this amazing community! Click the badge to find out more Bloggers for Peace! You can also check out the B4Peace tag! Looking ahead, I decided it’s time to revisit my initial goals for blogging while incorporating recent subjects. Hmm, so what happens next? First, I decided I’ll be bringing my previous crocheting posts into my primary blog. As much as I’d like to keep up two blogs, I know it isn’t realistic at the moment. Still, I’d like to be able to share FOBs (finished objects) and patterns, where possible. 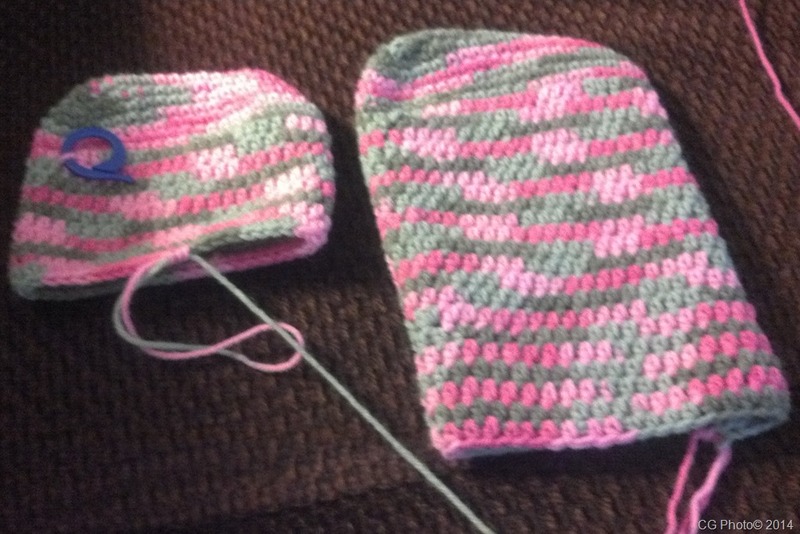 A pair of clipper socks in the making! I feel it’s also important to continue writing about my personal fitness journey. I have new goals to meet! In addition, as my health and appearance began to change, people began to share their own stories with me. This included thought provoking conversations on the topic of body image. I also realized people perceived me differently depending on when they met me this year. In other words my appearance looked very different at the start of 2013 than it did at the end of the year. How I looked often impacted how people treated me. I definitely have more to say about all this! In 2014 Cathy’s fitness goals changed. Thanks to all for your continued support! I plan on sharing more about my family’s history. This has always been one of my most popular topics. I’m “looking forward to looking back” once again! There are more family stories to share! 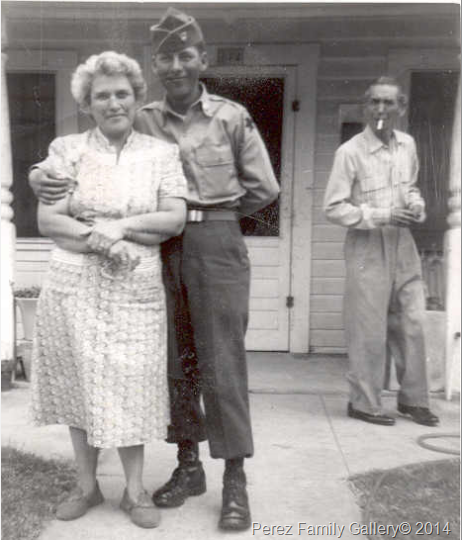 Here, Cathy’s dad is visiting his parents while he’s on leave during the Korean Conflict. On a more social level, I’m looking forward to learning more about new followers to my blog! 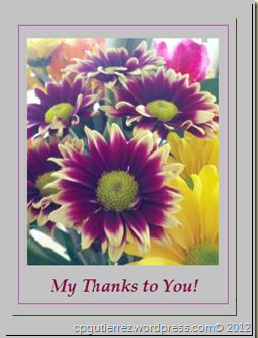 I appreciate your positive response to my writing. Thank-you! Last but definitely not least, I’m planning on making changes to my blog’s appearance. I’ve enjoyed using the Notepad background. It felt familiar when I started blogging since I used to write many notes on yellow tablets from a prior job. Recently I wandered out of that familiar zone by testing new backgrounds and formats. Even though we’re well into the first quarter of 2014 I’ve had all this on my mind for a number of weeks now. I’m looking forward to making these changes. I figure if I declare all this then I’ll be accountable to make it happen! Thanks, as always for following along. It’s time to move ahead! 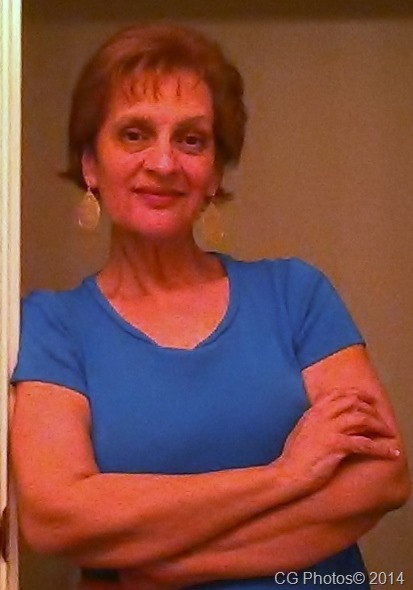 Cathy – 2014 – Looking forward to new stories and adventures! These all sound like wonderful topics — and I think it’s a great idea to combine them into your main blog. A blog is a reflection of its writer, and as such there should be many different parts! I look forward to reading your posts — especially on crochet as I’m trying to learn. Good luck! I am looking forward to reading about your new stories and adventures! You look fabulous! !